This light was kindly provided by ROFIS for review. For full specifications refer to manufacturer’s site. 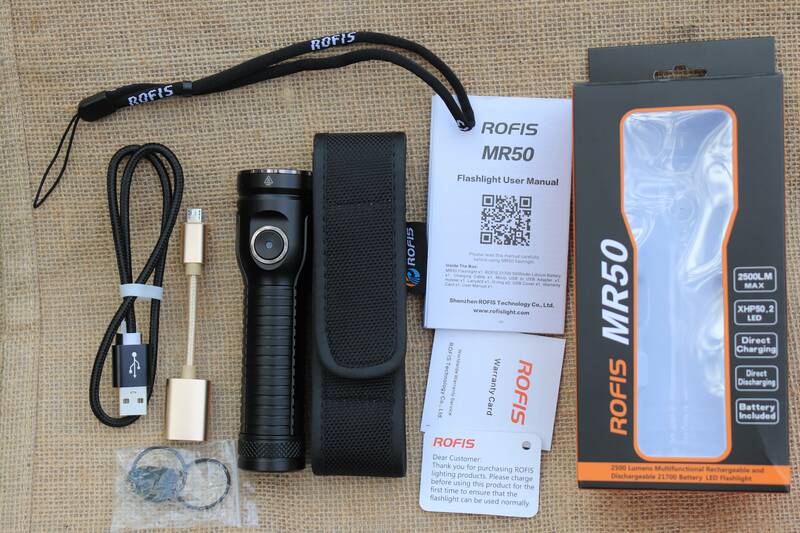 ROFIS MR50 is the new model in the MR rechargeable/powerbank product line. 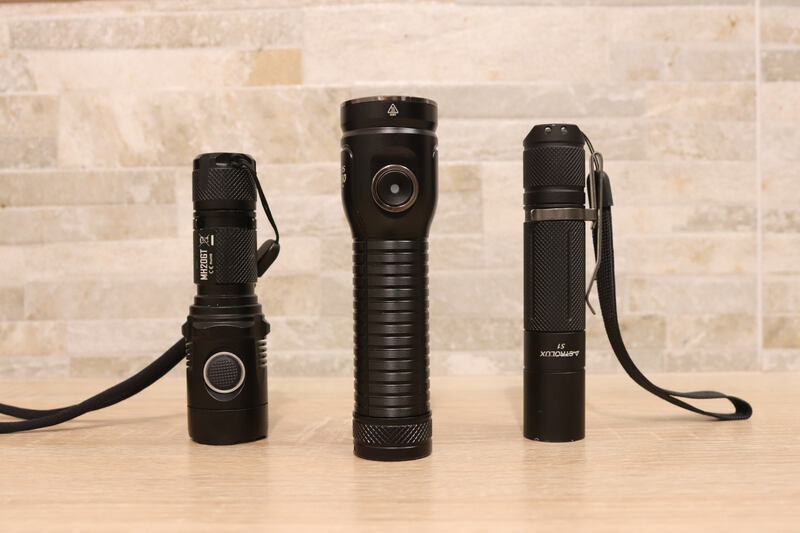 It is designed as multifunctional flashlight featuring XHP50.2 high output LED, built in charging, discharging (powerbank function), reverse polarity protection, low voltage warning, location and lockout mode. It is sold with full range of accessories included, so it can be operated right out of box. In many aspects it is similar with the previously released and well liked MR70 model. 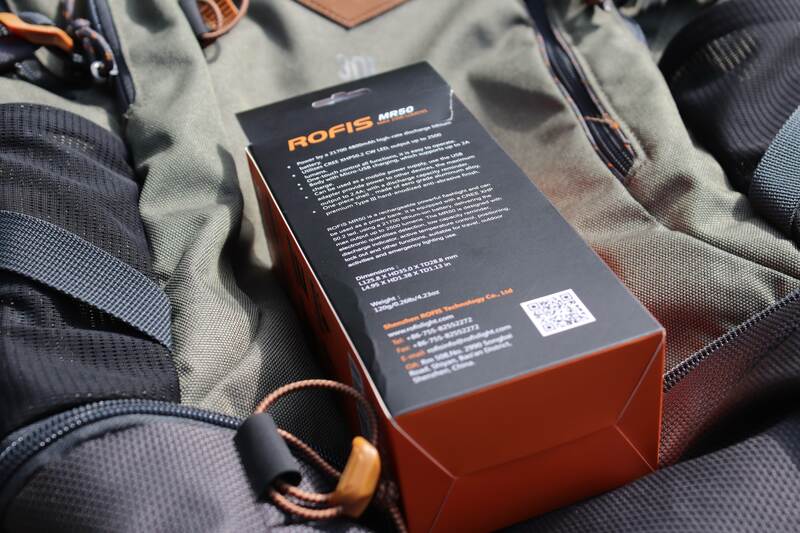 ROFIS MR50 came in a solid printed paper box with clear plastic window, to view the goods inside. Sticking with their black/orange color scheme, it has nice graphic design and there is basic information on the packaging about main features, accessories and output levels. 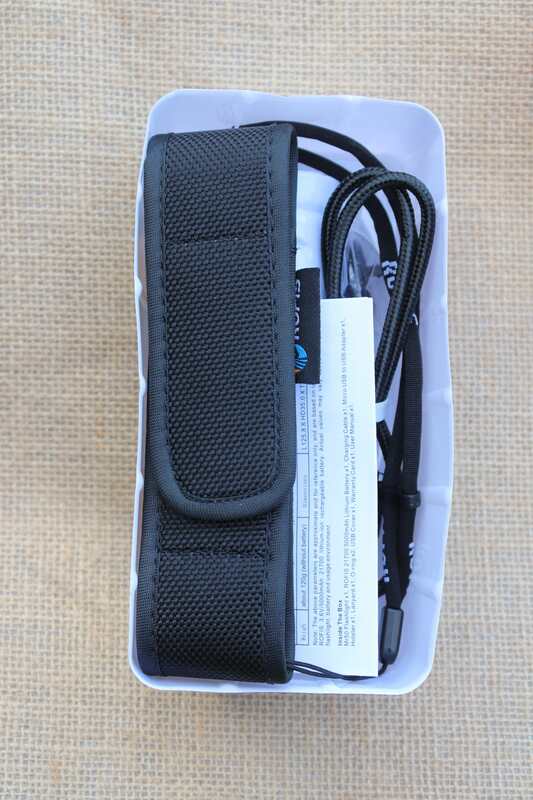 Apart from the torch which came with battery installed, the packaging contains USB charging cable, USB discharge adapter, quality holster, spare O-rings, spare USB port cover, lanyard, user manual and warranty card. The provided holster is of good quality, it fits very snugly due to elastic side inserts. 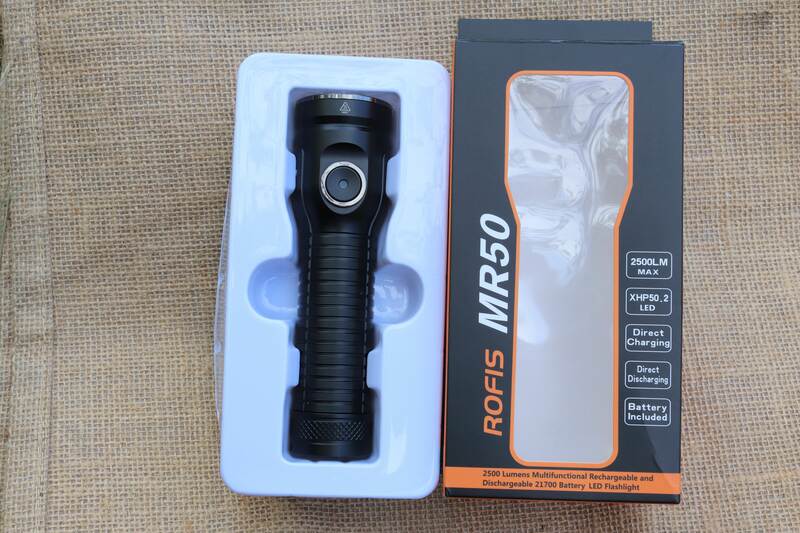 There is a trend among manufacturers to move towards higher capacity cells and with their MR50, ROFIS is certainly going that direction. 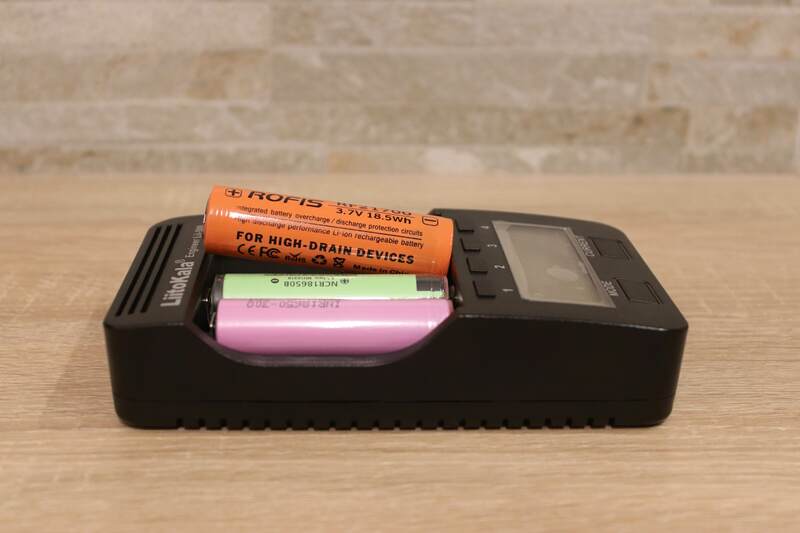 Included battery is a high-drain, protected ROFIS branded 21700 5000 mAh Li-Ion type. 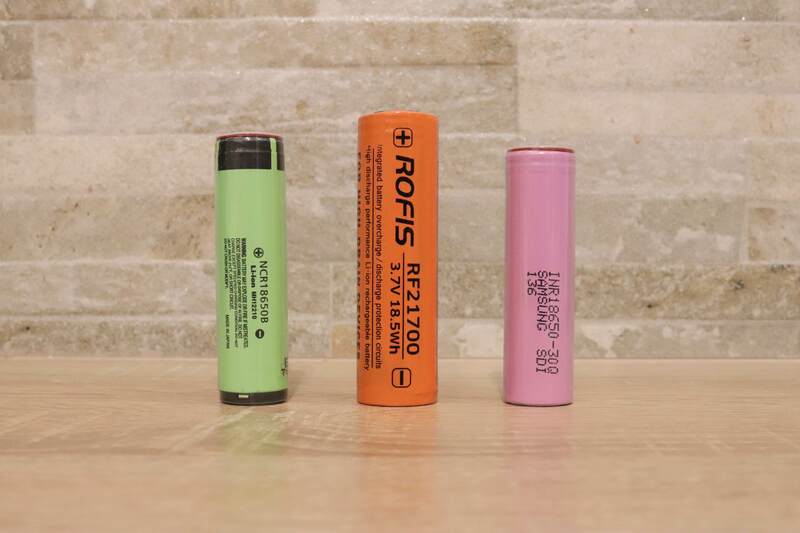 There is a bit of confusion, as the battery states capacity of 5000 mAh versus 4800 mAh information on packaging, but in real life this is almost insignificant difference. 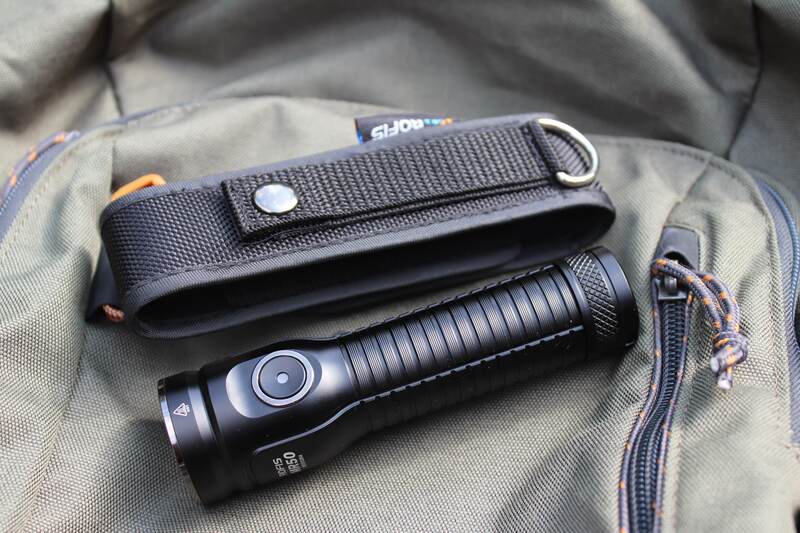 During transportation, the battery is inside the flashlight protected by a plastic tab, which needs to be removed. I tried to recharge it with my Engineer 500 charger, but with length of 75.5 milimters, the battery is too long and wont fit. If you happen to fit it into another charger, feel free to let us know by leaving a comment. 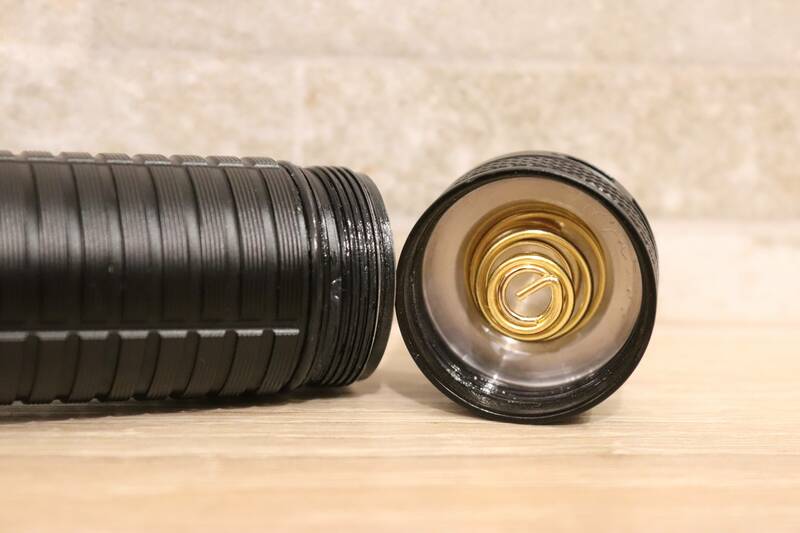 I also believe that the MR50 would run with a single protected 18650 battery, with proper plastic spacers. ROFIS MR50 is design vise very similar to the larger MR70, just more compact. The body is sleek with somewhat minimalistic feel to it. Overall quality of machining is excellent, there were no burrs, scratches, rough spots or any flaws in anodization. The circular knurling pattern provides very secure grip and is significantly easier to clean than the classic diamond pattern. Laser engraving is also very crisp. 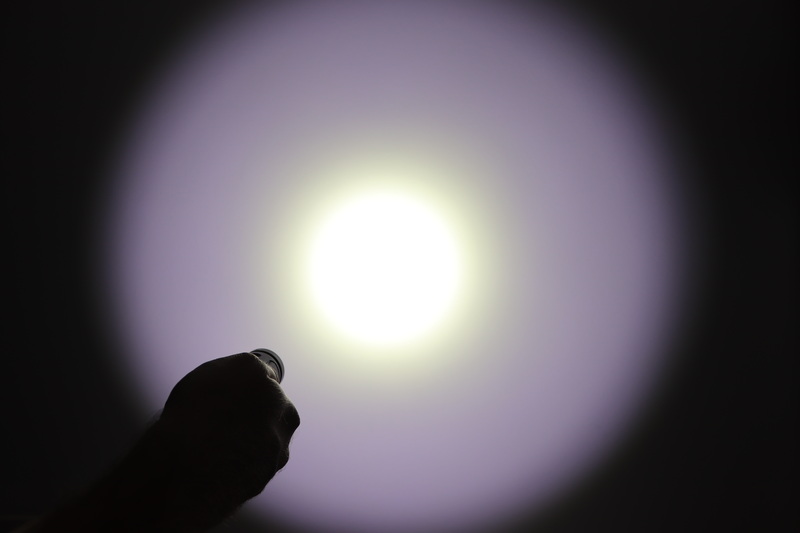 With the tail cap being perfectly flat, we can use the flashlight in candle mode or for ceiling bounce indirect illumination. There is a hole for lanyard. Threads are square cut and were evenly lubricated. The dual springs in the tail cap are among the beefiest I have ever seen. 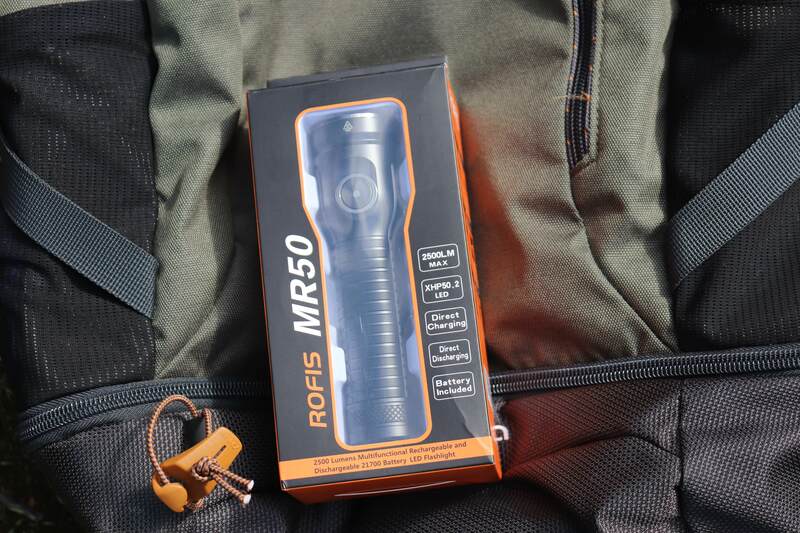 The head of the ROFIS MR50 has an orange peel reflector housing a CREE XHP50.2 LED. 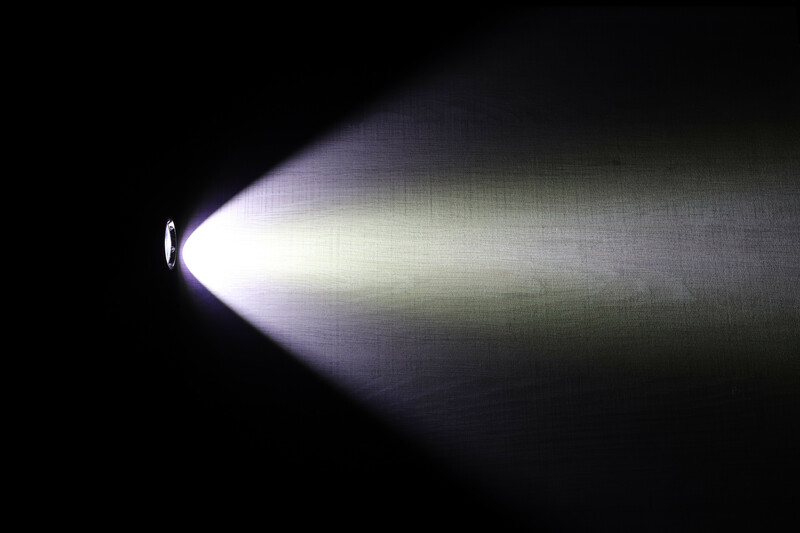 Again, there was no dust or dirt in the reflector, and the LED was perfectly centered. The lens has AR coating applied. The head assembly is protected by a polished bezel for additional protection. Note the depth of the lens under the bezel, it should be well protected against potential impacts. There is a micro USB port under the rubber port cover, which allows for external charging with any USB socket, for example a cell phone charger. 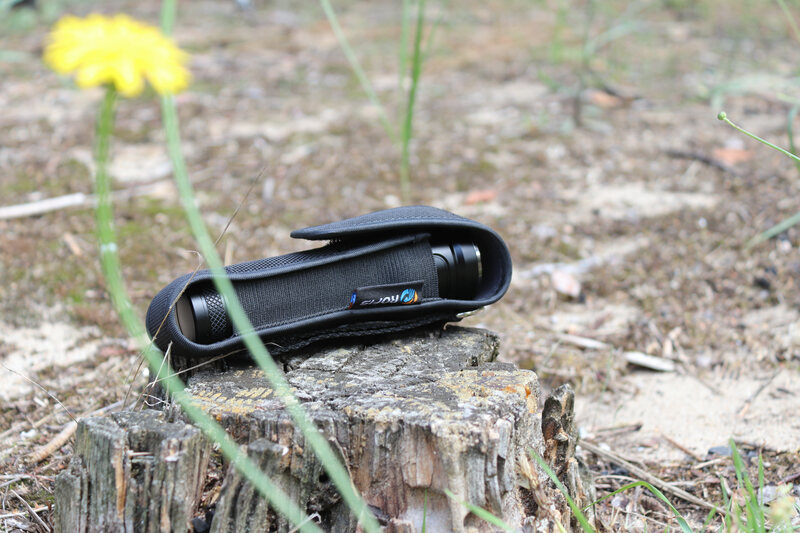 With included adapter, the MR50 can be also discharged like a mobile power supply or powerbank. This is especially useful when traveling. Note to the rubber port cover. This is one of the tightest, flush fitting covers I ever saw. Due to its design it is quite tough to open, unless you have long nails or some tool on you like toothpick or knife. When charging, the MR50 can be used in middle mode, therefore minimizing downtime without light. According to manufacturer, the supported charging current is up to 2 Amps. 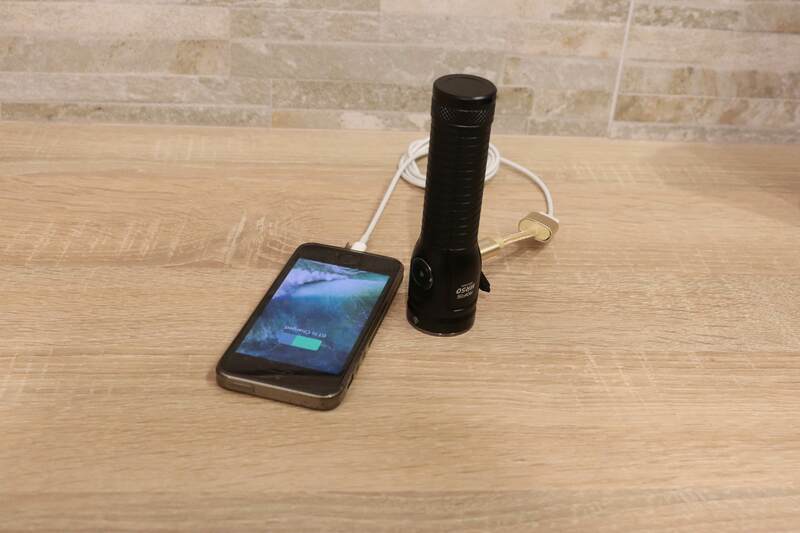 When used as a powerbank, the charging current is around 2,4 Amp, with remaining capacity also indicated by the LED in the center of the switch. 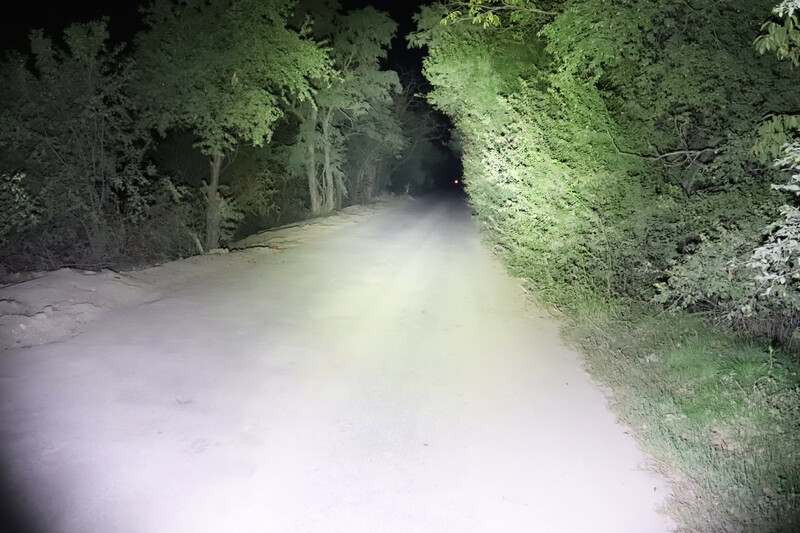 • When charging – red continuous light. 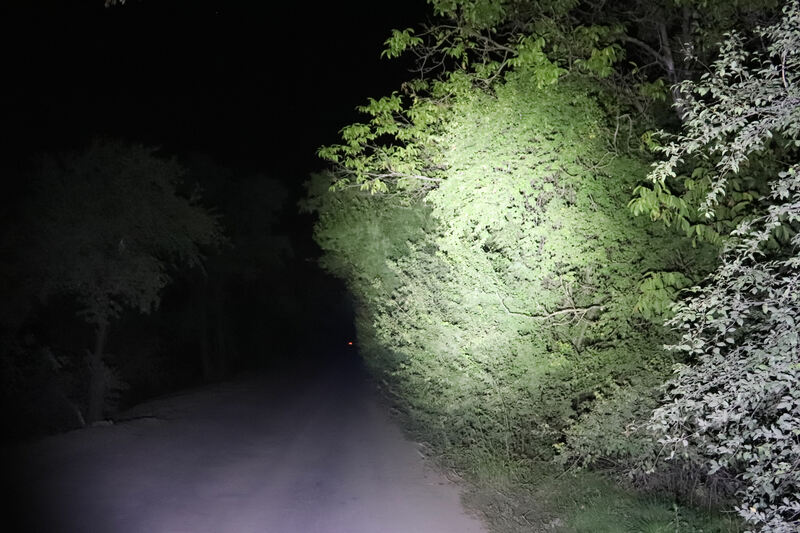 Green continuous light when charging is completed. • Quick red flashes – battery capacity around 5%, needs to be recharged. ROFIS MR50 has very user friendly interface. With mode memory, single click will turn on the last used mode, but not turbo. For turbo use a double click from any mode or from off. To cycle between the low medium and high mode, just hold the button pressed. Single click will turn the flashlight off. Triple click will activate Strobe mode, a long click from there will change to SOS mode. Long press from off will initially activate location mode, if being held even longer it activates lockout mode. As the tail threads are anodized, mechanical lockout is possible as well. Turbo -> 2500-1200-700 lm / 1 + 6 + 179 min. Unfortunately, there is no moonlight mode, nor any direct access to low mode. 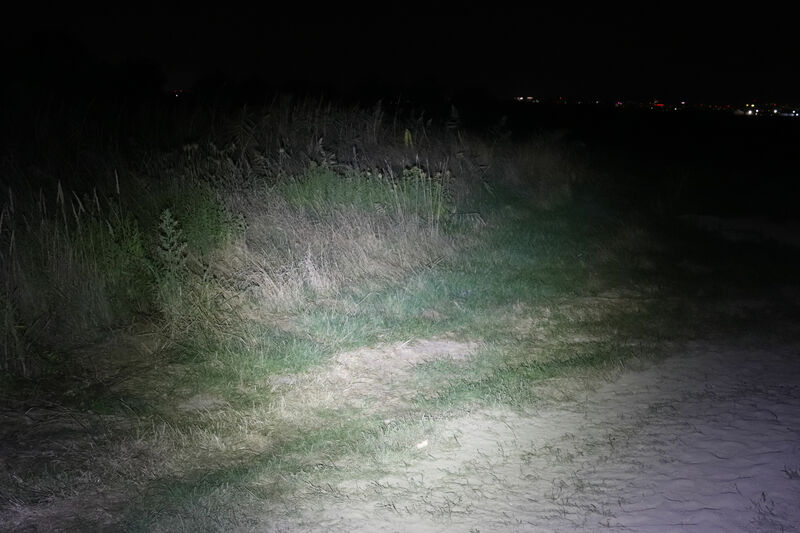 There is also quite a big jump from low mode with 25 lm to medium with 300 lm. 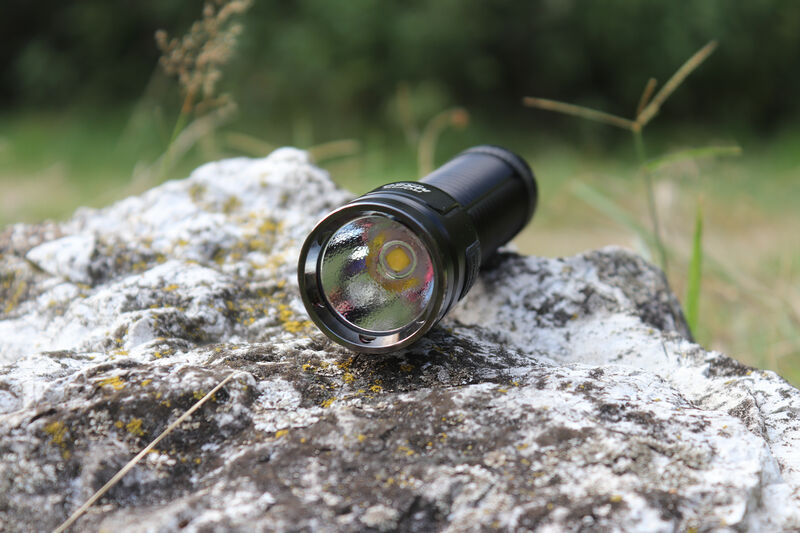 While the 20 lm may be too low around a campsite, the 300 lm medium mode might be too bright. An extra level for “general use” of around 100 lm would be great addition. I did detect PWM flickering, but only on the low mode. According to manufacturer, ROFIS MR50 has a constant current driver. I noticed ocasional strange behavior, when even with fully charged battery, I could not enter turbo mode for more than 3 seconds before stepping down. This is most probably due to some tailcap electric contact issue, I will investigate and update once I have more info. Let me know if you have the same experience. 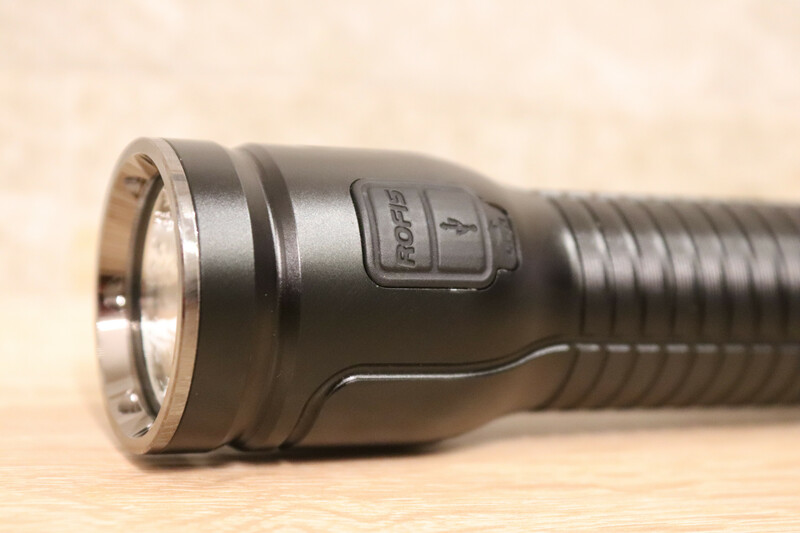 ROFIS MR50 is waterproof according to IPX8, 2m underwater submersible, impact resistance is 1,5 m.
Weight of the flashlight without battery is 120g, length 125.8mm, diameter at head 35mm, 28.8mm at tail. 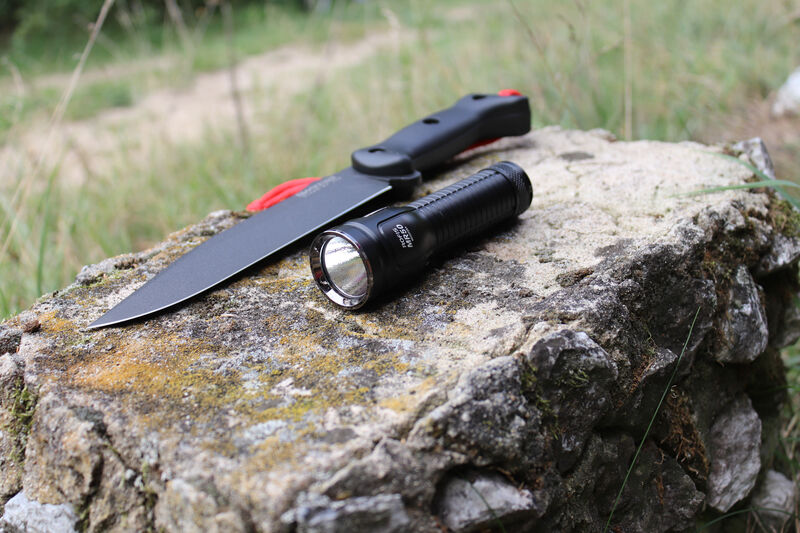 The small diameter OP reflector with relatively large XHP50.2 LED predetermines this flashlight as a semi-flooder. There are no significant artifacts or imperfections in the beam profile. Overall, I would rate the beam profile as floody beam with large hotspot and plenty of spill. 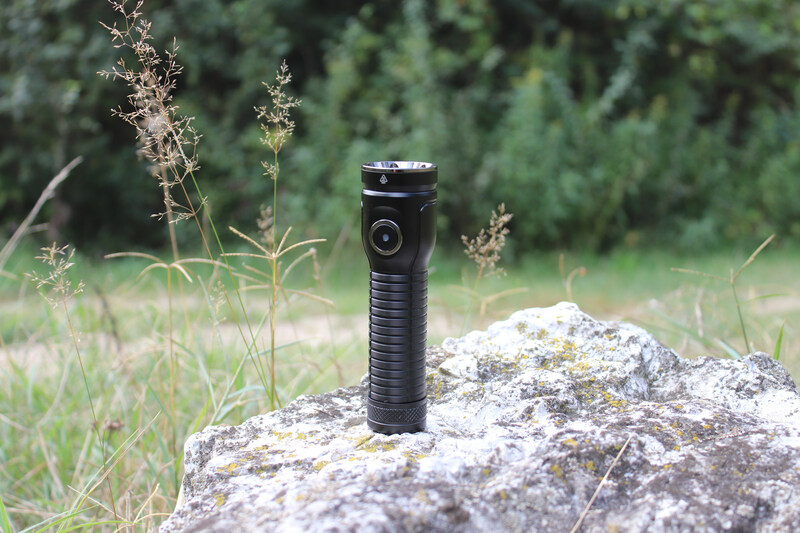 It should work fine for activities like camping, dog walking, night trekking or around your car or house. MR50 has only cool white option. Im happy with it, due to recent streak of bad “wannabe” neutral tints so common with XHP50/70.2 emitters. My estimate of the cool white is around 6000K, it is not one of those bluish sci-fi tints. • Short runtimes on turbo, probably due to voltage drop. • Include plastic spacers for 18650 cells. Could you tell the street price in your review? I’m not trying to “make an inquiry” just to find out what it costs. What kind of marketing is that!? 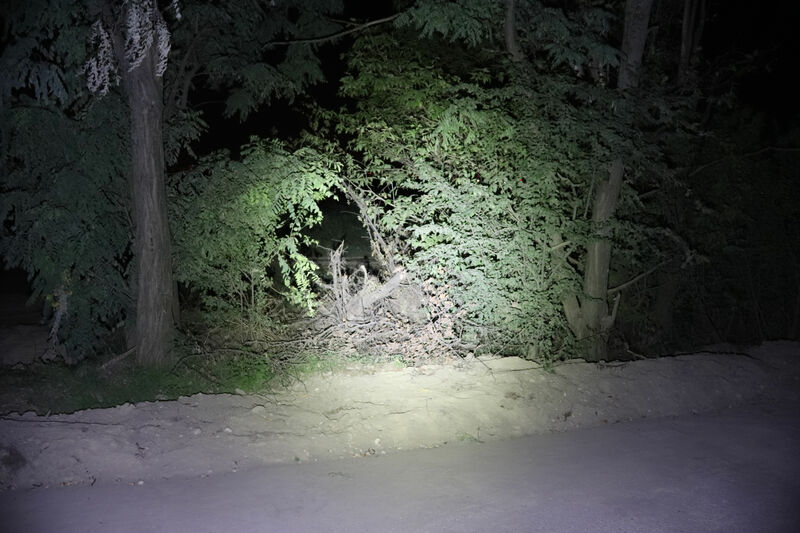 Nice review otherwise, looks like you could find good fishing spots down that road in the middle of the night. Atleast that’s what the road to my secret fishing spot looks like lol. The price on Banggood is around 70 USD. But as usually, that is before coupons, codes etc. So I would say the price is somewhere between 55 and 70 USD. Overall a nice light. Nice review Dioda. I have its big brother, MR70, and it’s very high on my favorites list. 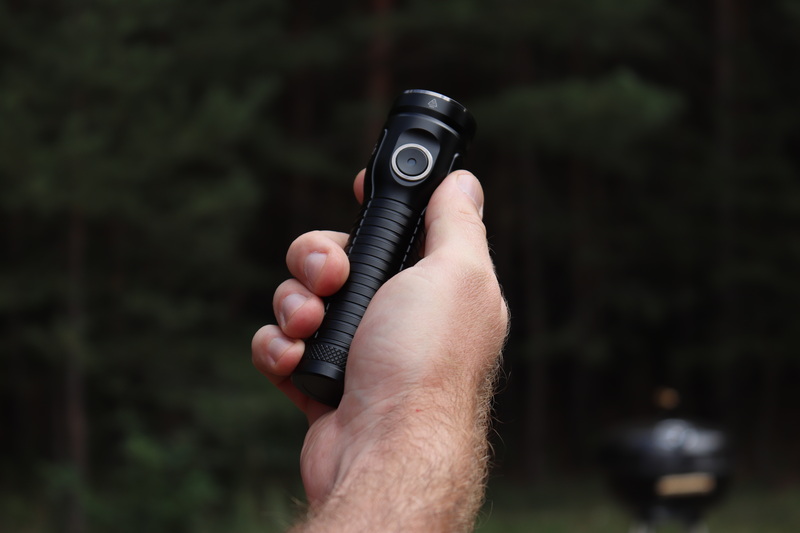 A very well thought, high quality, great design flashlight. I hope we’ll see a mini 26650 thrower (ODL20C size) from Rofis. That would be indeed interesting. 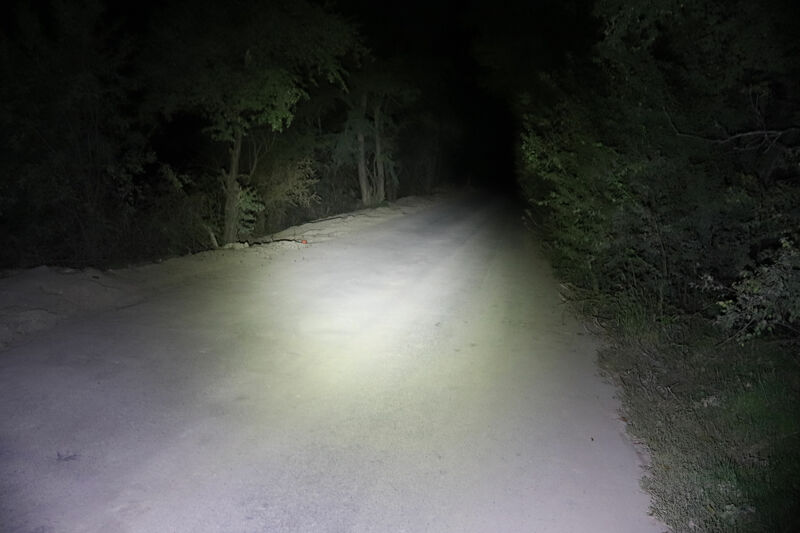 I hope ROFIS will eventually venture into the segment of larger or multiple LED flashlights.